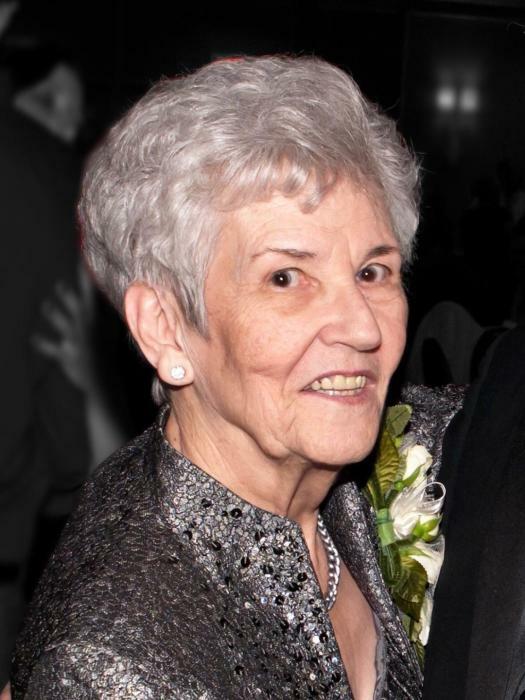 Nancy Jane Urdzik (neé Igo), 88, of Latrobe, Pennsylvania left this world on January 22, 2019. Nancy was a beautiful soul, even while battling dementia. She was loved by every person that had the privilege of spending time with her. Nancy was funny, kind, and oh so charming; the best kind of person. Last week, she gave us all a wonderful gift of a day where she was more aware—laughing, loving, and spunky as ever. Her family was all with her and we will hold dear that day and all of the incredible years we have had with her. Nancy and her beloved husband, Mike, were high school sweethearts, graduating from Derry Area High School in 1948, and married in 1950. The two have been together almost every day since, separated only by the US Navy and an occasional hospital stay. They were together even her last days as they shared a room at Brookdale Senior Living; Mike holding her hand and telling her how much he loves her. Their beautiful marriage is something that only comes around once and a while and he will miss her greatly. Nancy raised her daughter, Kathy, and was a second mom and Grammy to her granddaughters, Amanda and Angelica. Her daily joy has been her great-grandson, her “little sweetheart” Sammy. Gaga and Sammy have been best buddies since he was old enough to talk. She was also a best friend to her daughter and granddaughters. We will all miss our very favorite person. Nancy was a Sunday School teacher at Trinity Lutheran Church for many years and loved children big and small. She loved to be at her home, built just for her by her husband, Mike. Nancy spent a lot of time outdoors in the sunshine decorating her yard and indoors keeping her home perfect for her family. Nancy took care of everyone she met. She never drove a car, but her family all enthusiastically escorted her everywhere since she was the best companion. She was the kind of woman who was up with the sun and rarely sat still. She had a sassy personality and would often wink at you and laugh when telling a story. Nancy was supremely special. Nancy is survived by her husband Michael Urdzik of Latrobe, Pennsylvania, her daughter Katherine Ciranni (Daniel Spencer) of Latrobe, Pennsylvania, her granddaughter Amanda Ciranni Fisher (Benjamin Fisher) of Jefferson Hills, Pennsylvania, her granddaughter Angelica Ciranni (Matthew Matesevac) of Pittsburgh, Pennsylvania, and her great-grandson Samuel Fisher. She is also survived by nieces Karen Rodgers, Heather Morgan (James Morgan), and Madelyn Morgan of Latrobe, Pennsylvania. Nancy was preceded in death by her parents, Paul and Katherine Igo, her sister and brother-in-law Joan and Jack Clark, and her son-in-law Joseph Ciranni. Family would like to thank the amazing staff at Brookdale Senior Living and Grane Hospice Care for how well they took care of Nancy and Brookdale for continuing to take wonderful care of Mike. Family will receive friends on Wednesday, January 23, 2019 from 4:00 – 7:00 pm at McCabe Funeral Home, 300 W 3rd Avenue, Derry. A service to celebrate her life will be held on Thursday, January 24, 2019 at 10:30 am at McCabe Funeral Home. Interment will be at Unity Cemetery, Latrobe. On line condolences may be made to www.mccabefuneralhomespa.com.